When you’re looking to create the perfect uniform for your business look no further than Tibard, we cater to a variety of sectors with the fast and reliable service that works for you. Supplying high-quality uniforms for over thirty years, Tibard knows the importance of workwear. For your staff to work their best, their uniform needs to be functional, well-fitting and long-lasting clothes to do the best job possible. Our top quality uniforms are worn throughout Leeds from small country pubs too internationally recognised chain restaurants. However, we know that your business is unique, so we’re also able to provide embroidery services for added personalisation. With so many great reasons to buy from Tibard online, we are sure that we will be of interest to you, especially due to the extensive range of uniform products that we stock and our excellent customer service. As we supply many huge international businesses on contract, we can supply workwear in Leeds, Bradford and West Yorkshire at very low prices on our website due to the substantial discounts we get from our suppliers which we pass on to you. Some of the other excellent reasons to buy from us online are the ability to save on bulk purchases, our convenient and easy to use uniform builder feature and the ability to reorder from your account when you need more workwear easily. Another critical service that many businesses are interested is the personalisation of uniform products so if you are interested in workwear embroidery in Leeds, Bradford and West Yorkshire then we can provide this through our website. This is an excellent service that allows you to place your brand on your workwear garments and is an inexpensive way of helping to promote your brand while on the job. No matter what you workwear needs are or how big, or small you are, Tibard are certain to be able to help so buy online from us today or simply get in touch to find out more about what we can offer you. Our years working in a multitude of industries and finding the right garments have made us the experts in finding the correct uniforms for our customers. We specialise in hospitality uniforms and understand a variety of different clothes are required for each sector of this diverse industry. The chef jackets and aprons we supply and manufacture have all been expertly designed to become an integral part of your business’ branding. Purchasing a uniform, especially for a large group of people is not a decision to be taken lightly. Luckily here at Tibard, we’ve been providing uniforms and chef jackets for businesses in Leeds for over thirty years, and we can offer you an unmatched level of advice to ensure your new uniform is a brilliant addition to your business. While we can cater for any size of order through our website for workwear in Leeds, Wetherby, Pontefract and Huddersfield, you may find that if you are interested in very large order that one of our unique services is a better choice for you. 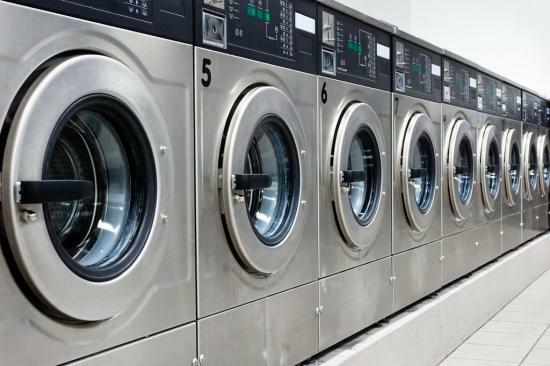 Our excellent services include the rental and laundry of workwear which is also available in Bradford and West Yorkshire is a perfect solution for those with a large number of staff working in industries such as hospitality or catering who require clean uniforms all of the time. As we manufacture many of our products in our UK based factory, we can also offer the bespoke design and production of uniforms which can help set your business apart from the competition and offer your staff a product perfectly suited to their job. To find out more about how Tibard works with larger business and to read more about the services that we offer, make sure you check out our services page and also read through our case studies which demonstrate exactly how we have helped other businesses with their needs.